In the restoration studio we find out what an artist was like. "I admire how the painter applies her impasto in Houses in Demolition," says conservator Sandra Pucci, when asked what she had learned about the artist while restoring the Pitti work. "I do find sky color quite murky, in terms of chromatic choice, but it is certainly authored by an expert hand. For many centuries, it was the style to use small brushes to produce carefully constructed paintings. Houses in Demolition is almost reminiscent of a fresco," Pucci concludes. In the exhibition catalog Women Artists. 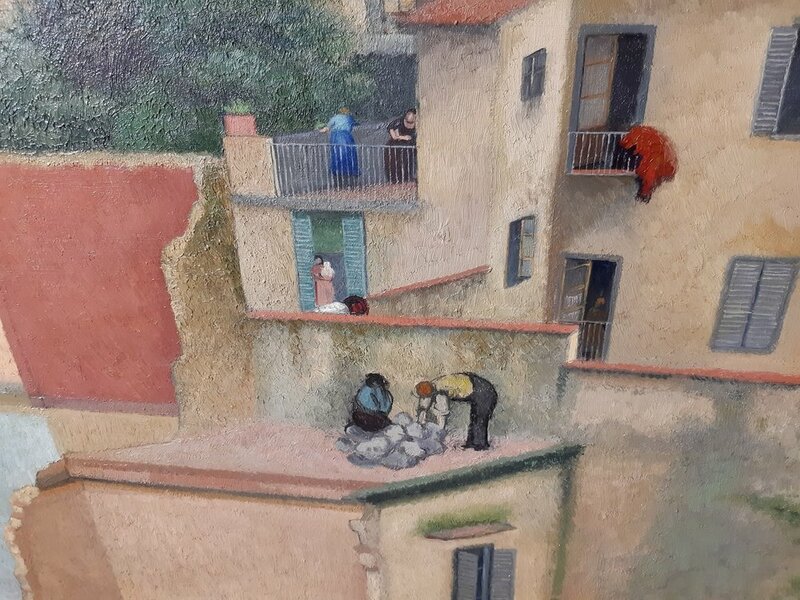 Florence 1900-1950, art historian Chiara Toti describes the painter's response to the viale Milton neighborhood "…where the Levastis both lived and had their studio. She captures the authenticity of daily life, portraying women's chores on terraces and in courtyards or the bustle of life in the neighborhood's squares."